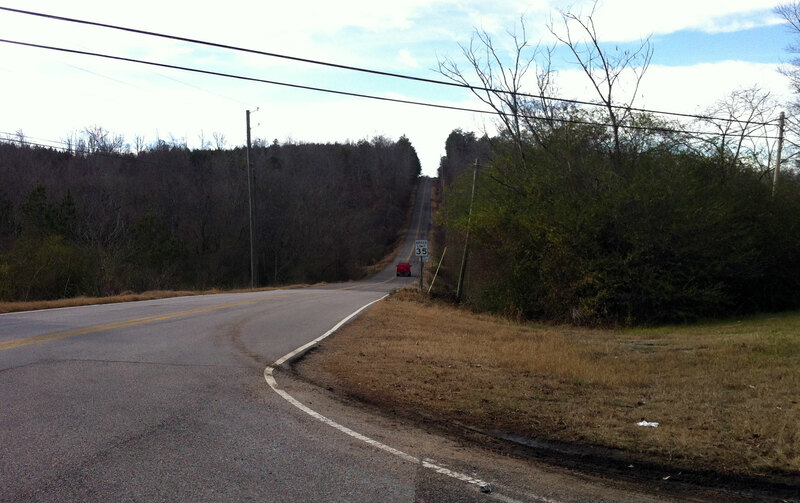 This week’s Strava shoot-out climb is Belmont Rd over in Irondale. I was working on the computer this morning when Kristine mentioned that the high was going to be close to 70 today. After having frost in our yard and on our neighbhor’s roofs this morning, I immediately thought “updraft!! !” So I finished what I was working on, and got ready for a long ride. 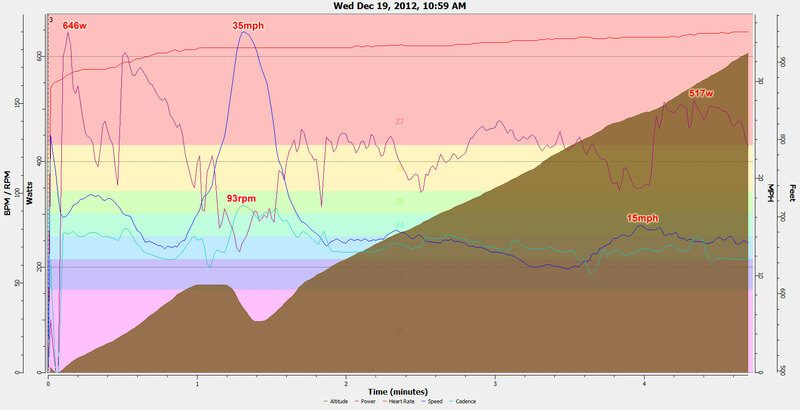 I started out on a somewhat direct route out to Belmont and sure enough there was a massive tailwind on the climb. 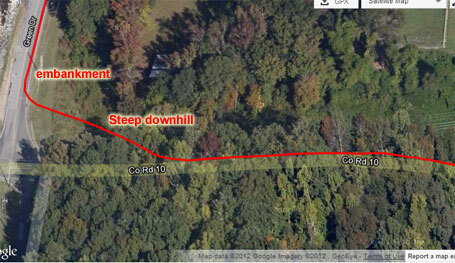 After dropping my stuff off behind the Overton Rd Church, I set out to tackle the climb. I had taken off my jersey since it was getting hot and I had all my stuff in my jersey pockets, and I still had my vest on. Made it simpler to dump stuff rather than having to empty all my pockets. So here I am heading up towards Belmont with a sleeveless vest on December 19th in nearly 70 degF sunshine — gotta love Alabama! I hit the lap button on Overton so it would hopefully auto-lap at just the right spot on my way back, turned around at the utility shed and then hit it hard to get some momentum going into the turn. But it was a bit too much momentum for the super sharp turn. I entered the turn at 25mph went straight across the road, slammed on the brakes as I’m about to enter the gutter and then straightening up and accelerating back out of the gutter up the 12% gradient. This led to a nice 646 watt power surge in the little chainring. It was good to be in the little chainring, though, for the opening part of the climb which stays consistently well above 10%. Coming across the top, I shifted into the big chainring and then down into the 11 trying to grind a big gear while tucked in as aero position as possible for the 35mph downhill to the interstate bridge. I still had a lot of momentum entering the bridge thinking that I would try to stay in the big chainring the rest of the way up – but then by the end of the bridge, I was already struggling in my 21 in the back with my cadence rapidly decreasing down below 70rpm, so I dumped it back down into the little chainring and decided to go little chainring the rest of the way up the climb. There was a brief headwind section after the bridge, which was the first time I had thought about the wind since the climb began, so in my head I was thinking “oh no, where is my tailwind” – this was quite a bit demotivating but I was already committed, so the next thought was how hard can I push this gear? Then, not 50 meters later, the wind switched direction again, and it was the tailwind I was expecting (and which had been there the entire time except for that one stretch right after the bridge) so this gave me extra motivation to stand up again, mash the pedals really hard and be as un-aerodynamic as necessary to get as much power into the pedals to make it up to the top as quickly as possible. By the end, my lap timer had 4:45, but I wasn’t sure where the auto lap had kicked in. I was thinking it might have been after the turn at the start of the climb, but in fact it had auto lapped back on Overton right before the turn. So my actual strava segment time was 4:44. And I still had nearly six hours left of riding to wait to find out if I had gotten the KOM! It was a couple watts short of a power record, though, so really it was the tailwind that got me up the climb fast enough to beat Mark’s time of 4:52, which had blown away my previous KOM time by 20 seconds! 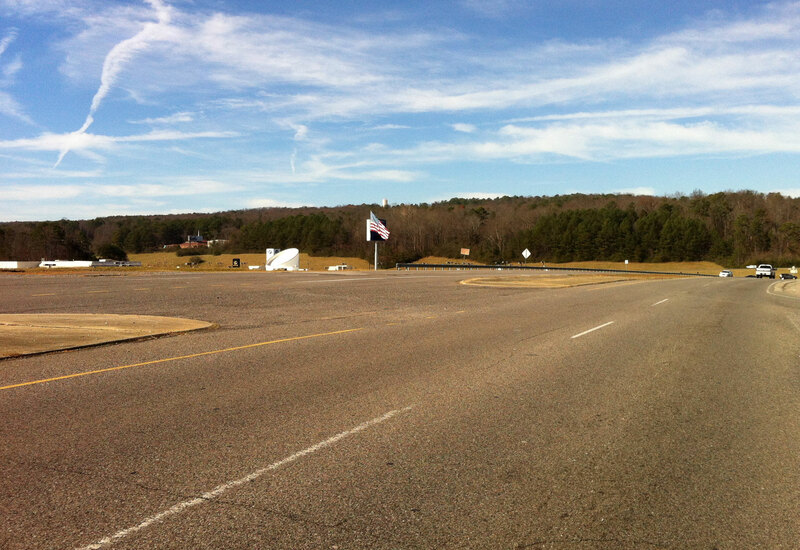 The rest of the ride was fun, although a bit flatter in sections than I would normally like. 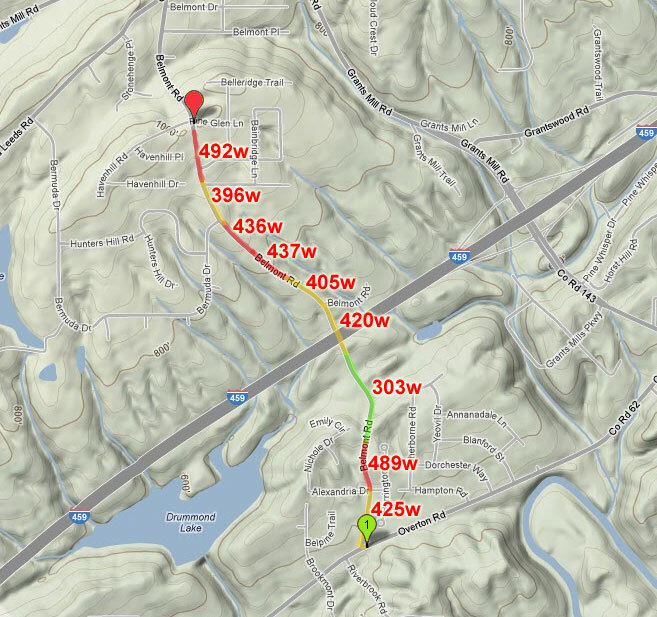 A couple “adventure” notes include nasty traffic in Trussville which I avoided by riding through “cut kudzu” off the side of the road … check out this zoomed in satellite pic of my route … also, I created a new segment on Mountain View Rd heading back towards Margaret – a really long gradual climb. It was quite enjoyable b/c of the ruralness of the area despite me occasionally thinking “uggh, this is killing my total elevation gain”. This really nice Chinese family (mom, dad, 18 month old toddler) gave me some water at their restaurant in Margaret, which is a really cool rural community. I had been out of water for several miles so that was super nice. On the way back up Smyer and then Vestavia Dr, I ran into three other cyclists – Clint climbing Smyer and then Dusty and his daughter climbing Vestavia Dr. When I finally made it home, I met Kristine and the kids as they were heading out of the neighborhood for dinner before my brother’s Christmas special (see video at the end and pic of program). I had just enough time to get home, wash up a bit, upload the ride to strava, and then head back out with my lights on to get over to the church for dinner (steak!!!) 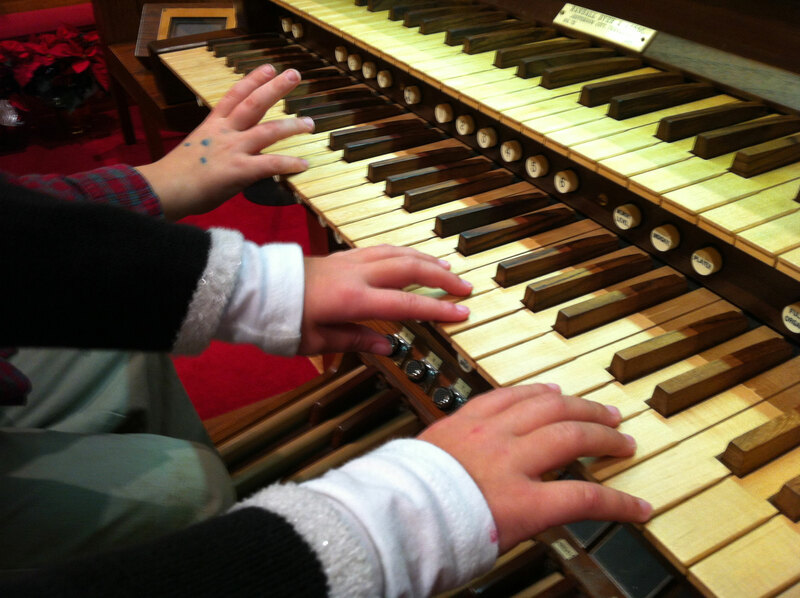 and then the program. It was an all-round epic awesome day! Steep (22%) downhill on Liles Ln off one of the foothills of Goodner Mtn. Lots of videos from the ride below … click the “watch on youtube” link to use the bookmarks (on the longer videos) to jump to interesting parts of the video. 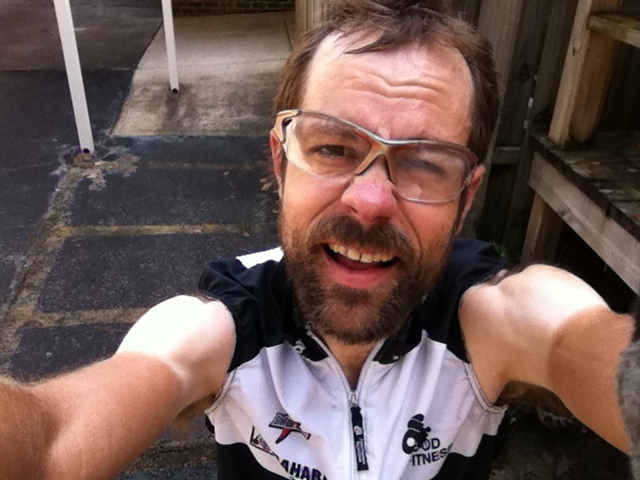 This entry was posted in Training and tagged epic, kom, strava on December 20, 2012 by kartoone.